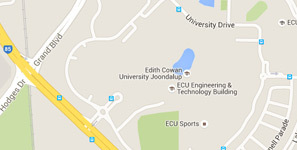 It is with great pleasure that I welcome you to Edith Cowan University. Research at ECU extends knowledge and improves the quality of life for Australians and people across the globe. Our research priorities focus on solving real world problems across social, economic, physical and environmental domains. Established in 1991, ECU has grown rapidly into a quality university with excellent student satisfaction and internationally recognised research. Students and graduates at ECU are amongst the best in the world, with many fulfilling crucial roles in our society. Their outstanding achievements have been recognised throughout Australia and internationally through awards, grants, scholarships and prizes. ECU is committed to widening participation and breaking down barriers that restrict entry to education, and we are continuing our work on the enhancement and development of alternative entry pathways to higher education. We are a university that values diversity and this is exemplified by our multicultural student cohort spanning a wide range of ages. We also support gender equality and ECU is advancing this commitment through our membership of the Athena SWAN Charter in Australia. I encourage you to find out more about how ECU can help you reach your potential.